The summer in Dallas has a little something for everyone. Grab your calendar because you're going to want to mark off these events you won't want to miss. If your World Cup fever still hasn’t faded, you’re in luck. On Tuesday, July 31 watch international soccer champions go head to head in a game at AT&T Stadium in Arlington - a 20 minute drive from Duncanville. 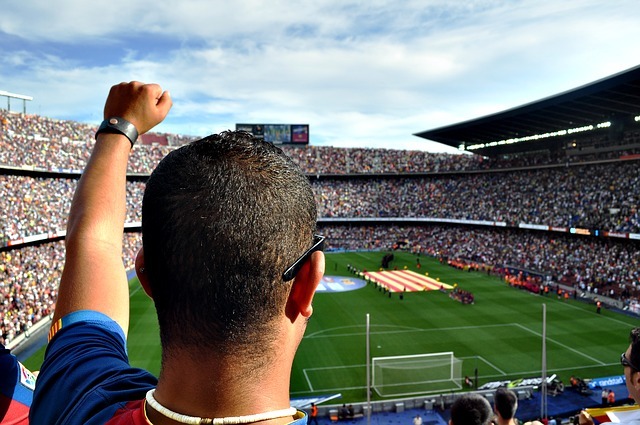 The opportunity to see FC Barcelona play against AS Roma live doesn’t come often so be sure to grab your tickets for the experience of a lifetime. Now that’s my kind of party. Hear the hit ‘Dirt Road Anthem’ live as country music star Jason Aldean takes to the stage at Dos Equis Pavilion on July 28. Aldean will be joined by Luke Combs who knows a thing or two about weather with classics such as ‘When it Rains it Pours’ and ‘Hurricane.’ Nothing makes a summer night like chilling out to some country music so be sure to check for tickets online. Explore beyond the world of Marvel and DC Comics at the second annual Texas Latino Comic Con on July 28. Throughout the day, learn the art of making comics with Elia Maria or participate in a Q&A with Hector Rodriguez, creator of the internationally renowned series El Peso Hero. Hosted at the Latino Cultural Center, the event will celebrate the work of Latino artists, writers and creators in the comic book community. Admission is free and more event details are available online. Finally no trip is complete without some dessert! Sweet Tooth Hotel is an experiential art and retail pop up in Dallas running until August 31 in Victory Park. Unwrap the sweet surprises that lay behind every door and don’t forget to pick up unique treats at The Gift Shoppe before you leave. Do not miss your chance to walk through five interactive rooms based on popular treats - but which ones? That’s for you to find out. Tickets can be purchased on the official Sweet Tooth Hotel site. Now while a hotel made out of candy may sound sweet, Best Western Duncanville has plenty of treats and amenities to compete. The hotel is fully equipped with a pool and gym for you to work off the excitement of the soccer game and a free hot breakfast after you’ve satisfied all your sugar cravings at the exhibit. Located just minutes away from Dallas, check out which rooms are available during your stay. Whether it’s sugar, soccer, or the sweet sound of country music, there’s plenty to do in Dallas this summer.